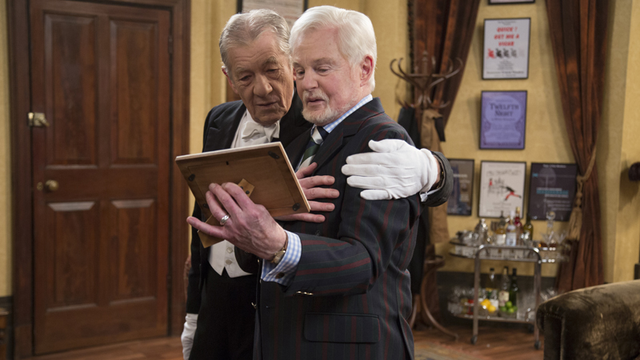 Freddie (Ian McKellen) and Stuart (Derek Jacobi) return to deliver more biting remarks, snide comments and cruel asides with a second season of Vicious. Joined by friends Violet (Frances de la Tour), Ash (Iwan Rheon), Penelope (Marcia Warren), Mason (Philip Voss) and surprise guest characters, the men embark on another season of humorous mishaps, hideous break-ups and heart-warming make-ups. Vicious season two premieres Sunday, Aug. 23, at 10:30pm on ThinkTV16 and CET. Re-watch the first season online on demand at http://watch.cetconnect.org/program/vicious/ or http://video.thinktv.org/program/vicious/.